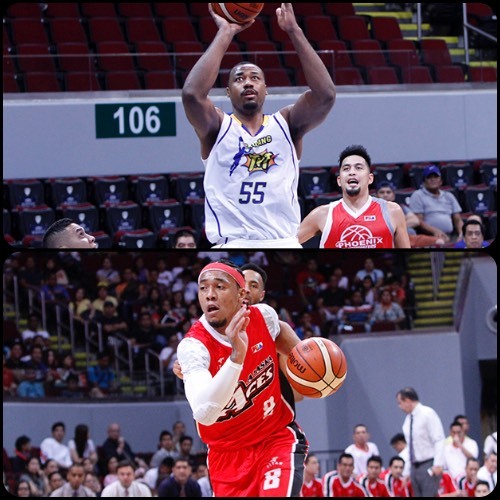 Two powerhouse teams got back on track with separate wins in the 2016 PBA Commissioner’s Cup. 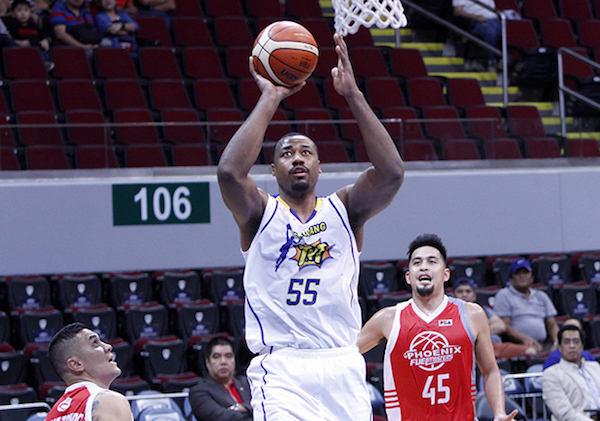 Tropang TNT tripped up Phoenix, while the Alaska Aces blasted the Rain or Shine Elasto-Painters. Tropang TNT returned to the winning column after trouncing the Phoenix Fuel Masters, 108-96, in OPP PBA Commissioner’s Cup action Saturday at Mall of Asia Arena. Import David Simon came up big with 33 points and 22 rebounds to help TNT, which never looked back after a 10-2 start, stop a three-game slide. 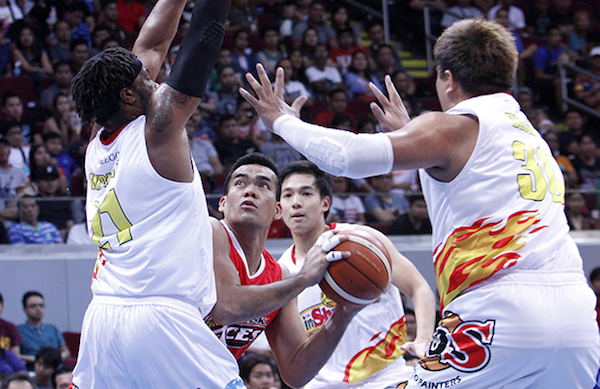 Ranidel De Ocampo also scored 20 points for Tropa, which improved to 2-3. 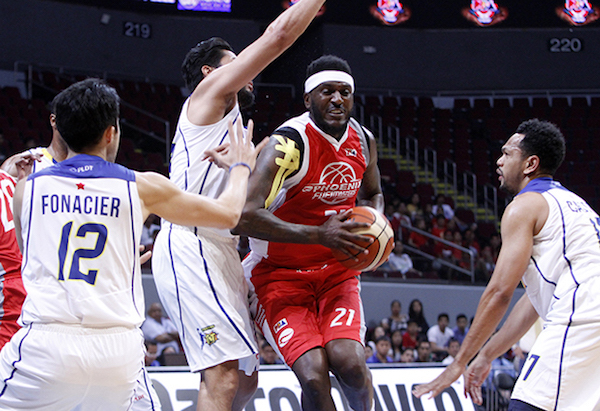 Kevin Pinkney, Phoenix’s new import, had 26 points and 19 boards in his PBA debut, but he couldn’t lead his team to a win. David Simon takes an easy shot near the basket. Former NBAer Kevin Pinkney barrels through the TNT defense. 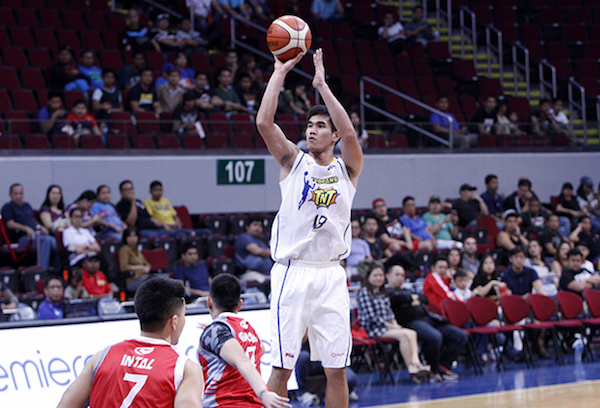 TNT rookie Troy Rosario snipes one against Phoenix. The Fuel Masters fell to 1-2 as they dropped their second straight game after winning their league debut. Kevin Pinkney (PHX) - 26pts, 19rebs, 4asts, 1blk, 6/21 FGs. The Alaska Aces broke the game wide open in the second half to steamroll the Rain or Shine Elasto Painters, 128-102, in the OPPO PBA Commissioner’s Cup Saturday at Mall of Asia Arena. 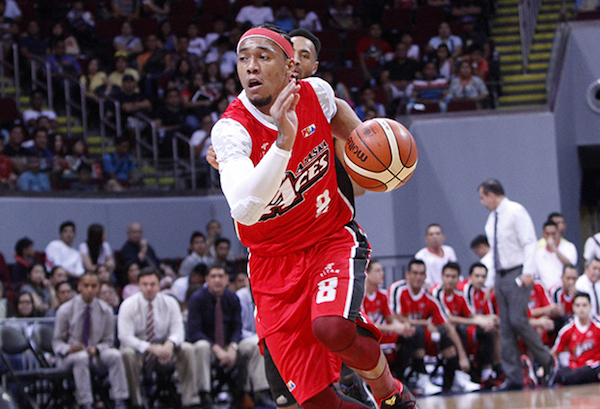 Calvin Abueva led the Alaska onslaught with 25 points and eight boards. Shane Edwards piled up 23 markers and 11 boards, while Vic Manuel added 20 points and RJ Jazul had 15 markers on five-of six triples. Calvin Abueva had a monster outing for Alaska. 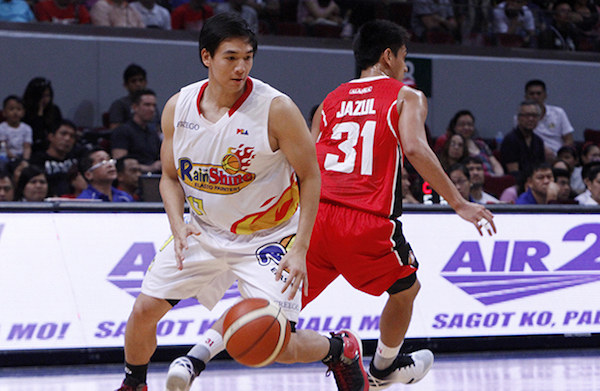 Chris Tiu's hot shooting went down the drain as ROS absorbed its third loss in a row. Vic Manuel gets caught in a triple-team courtesy of Antoine Wright, Beau Belga, and Chris Tiu. It was all Alaska for most of the match, as the Aces’ (2-1) lead ballooned to as many as 28 points to win their second straight game. Rain or Shine (1-3), which was paced by the 21 point-productions from Antoine Wright and Chris Tiu, suffered a third straight loss. Shane Edwards (ALA) - 23pts, 11rebs, 2asts, 2stls, 10/20 FGs. Antoine Wright (ROS) - 21pts, 11rebs, 3asts, 4stls, 8/19 FGs.